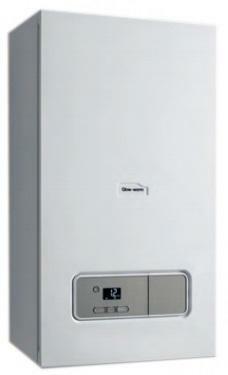 The Energy Regular is a gas boiler from Glow-worm. It has been designed with a variety of features and benefits to make it a highly reliable boiler for your home. As a regular boiler (also referred to as a conventional or heat only boiler) it will heat your central heating system directly and also produce hot water for your cylinder. This means you will need a hot water storage cylinder which is fed by a cold water storage cistern located in the loft. If your home is on the small side, this may not be the choice for you but it is ideal for a like for like replacement of a regular boiler. This unit is a highly efficient A rated boiler with a rating of 89.3%. This boiler has an output of 12kW making it perfect for homes that do not have a high demand for hot water, but it is also available in 15kW, 18kW, 25kW and 30kW. This boiler is compact in size helping to save you space in your home and includes a rear flue option helping it to fit in just about any type property. The 7 year warranty is testament to the manufacturer’s confidence that you’ve purchased a highly reliable unit.